This year marks the 35th anniversary of New Order's masterpiece Power, Corruption and Lies. 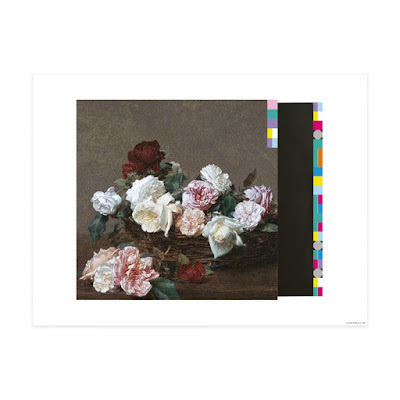 New Order have now issued a limited edition print 35th anniversary print of Peter Saville's iconic artwork. The artwork is on premium glossy paper and features a new message created by Peter Saville using the original color code specifically for the anniversary. The PCL 35th anniversary print is limited to 150 copies worldwide and is available while quantities last through New Order's store. View the artprint below. 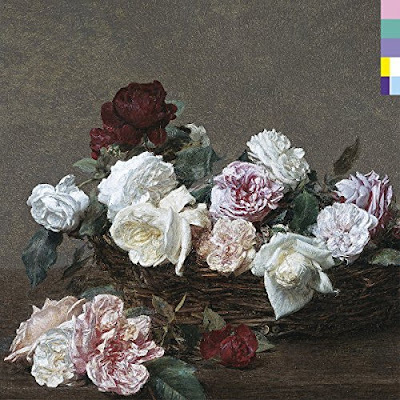 The cover art for Power, Corruption and Lies was inspired by Henri-Fantin Latour's painting A Basket Of Roses which is still on display in London. The album's artwork included a color code on the front of the sleeve with a key to the code in a color wheel on the back. Saville was inspired by the emergence of digitally archived artwork and his color code concept was his interpretation of "historic works with the futuristic hieroglyphs of computer code."